What is included in a House Wash? Watch what is typically included in a House Wash and see the results that can be achieved. 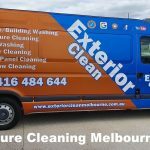 You don’t need to always re-paint, sometimes a deep pressure clean is the way to freshen up your property. Perfect for when you are preparing your home for sale or if you wish to bring back your home to life. https://www.aahclean.com.au/wp-content/uploads/2017/04/what-is-included-in-a-house-wash-UceTcwzq8aE.jpg 720 1280 Sunil https://www.aahclean.com.au/wp-content/uploads/2016/09/aahclean-Logo-300x186.png Sunil2017-04-04 12:54:312019-04-02 12:38:45What is included in a House Wash?